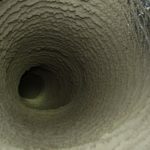 Home/Allergens, Commercial Duct Cleaning Articles, Consumer Info, Frequently Asked Questions, Uncategorized/Commercial and Industrial Ventilation Issues – Sick Building Syndrome? Commercial and Industrial Ventilation, Sick Building Syndrome? According to the HEALTH SCIENCE JOURNAL, Sick Building Syndrome was first coined in 1970. Caused by commercial and industrial ventilation issues, it describes a situation in which the occupants of a building experienced acute health symptoms or discomfort only triggered by time spent in that building. All symptoms would resolve once they left. The symptoms range from rashes, headaches and dizziness to an increased incidence of asthma attacks. Also, some complained of fatigue, aches and pain and difficulty concentrating. This results in loss of productivity at a great cost to both the employee and the employer. What can cause some of these symptoms? First of all, chemical pollutants from indoor sources such as dust, carpet, adhesives, upholstery, cleaning products, paints and varnishes even electrical equipment can be the culprit. Keeping the work place clean is very important to the health of all employees. Visible dust and mold on vent covers is not only unsightly to your customer but unhealthy for your employees. Furthermore, a clean, well maintained business projects pride and professionalism and makes the work environment much more satisfactory. 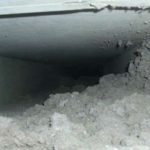 Furthermore, Advanced Furnace & Air Duct Cleaning, Inc. can greatly reduce the biological pollutants inside the ventilation, heating and air conditioning systems in the building, offices or warehouse. Biological pollutants include dust mites, dust, pollen, mold, insect body parts, even bird dropping on the roof that infiltrate exhaust fans and screened off vents. A filthy or malfunctioning heating and air conditioning system can be a root of many evils. Also, standing water can increase the risk of black mold and draw insects and rodents. Viruses, bacteria and mold can easily grow on air conditioning coils and in condensate pans that are not properly maintained. New construction or renovation to an office building, factory or warehouse may leave behind irritants. Sawdust and sheet rock dust and other construction debris get inside the duct work and blow out onto desks and become airborne. In addition duct cleaning is very important after construction and renovations. Get your ventilation cleaned today! It is extremely important to hire a company like Advanced Furnace & Air Duct Cleaning. First of all, we have experience and man power. We have been providing residential air duct cleaning, commercial air duct cleaning and industrial air duct cleaning for over 52 years. We use the best duct cleaning equipment in the industry. Our techs are NADCA (National Air Duct Cleaning Association) trained and certified. We attend continuing education and certification programs in all the latest techniques and applications. We have cleaned everything from hospital operating rooms, to school cafeterias. Duct cleaning is all we do every single day. Duct cleaning should be done at least every three years. Some pharma companies and manufacturing companies we service are on a maintenance schedule and have the cleanings done more often. Let Advanced Furnace & Air Duct Cleaning come out to give you a free proposal and discuss our process. As a result, we can add you to the many companies that have us in for scheduled maintenance. Call us at 1-800-317-7104 to set up your free price quote.